Holy hand grenade, Batman. I knew this moment was inevitable, but I had predicted a gradual escalation rather than an obscene sudden eruption. The Mount St. Helens of this conversation is called the Nokis 808 PureView and it exploded at Mobile World Congress this week. Nokia has traversed territory that no other smartphone manufacturer has dared to venture. A 41-megapixel smartphone with a 38 effective megapixel count. Gadzooks! 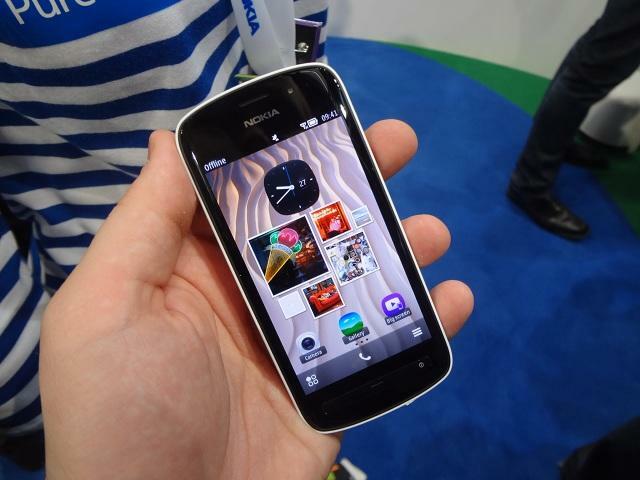 A digital hand extended from my monitor and slapped me across the face repeatedly when I first read our coverage of the Nokia 808 PureView. Then I did some mining and uncovered the phone’s imaging specifications, which led me to this frightening epiphany: the Nokia 808 PureView is the first real threat to the digital camera market. Now, some may argue that the iPhone and certain high-end Android phones are to blame for diminishing point-and-shoot camera sales. Those claims do have some merit, as the image quality of the aforementioned phones actually do rival some of the top point-and-shoot compacts on the market. Yet the general smartphone user typically doesn’t care that much about image quality. Besides, the best camera is that one that’s with you at the time, right? Regardless, there’s an imperative caveat to bear with current high-end camera phones. They all have small sensors. That’s not necessarily a bad thing, but size does matter to an extent in the camera world. The smaller the sensor, the smaller the size of the individual pixels and thus, the less light gathering capabilities that sensor has. That’s why smaller pixel counts are more desirable on cameras with smaller sensors. Of course, the image processor and sensor orientation play a large part as well (backside illuminated technology), but generally it’s the relationship between the sensor size and pixel count that determines the size of the individual pixels. So there’s a limit to what the modern smartphone is capable of—even the iPhone 4S. But when I read the specifications of the Nokia 808 PureView, my socks actually blew off and I did a backflip in my chair. The phone has a 1/1.2-inch sensor. To put that noble piece of hardware into perspective, the PureView’s imaging chip is larger than the 1/1.7-inch clad Canon PowerShot G12’s, Nikon P7100’s and Panasonic Lumix DMC-LX5’s; three of the top point-and-shoot models on the market. It’s around the size of the 1-inch sensor found in the new Nikon 1 mirrorless cameras. It’s the first relatively large sensor to be stuffed into a phone, hence the first real threat to the digital camera market because it targets the advanced photographer. For what is the need of a high-end point-and-shoot when your camera phone’s quality is superior by a landslide? I will say that the phone’s 38-megapixel (41 total, 38 effective) count is a bit vainglorious on Nokia’s part. There’s no real need for 38 megapixels on a smartphone. Heck, the full-frame Nikon D800’s 35mm sensor has a 36-megapixel count, and that’s high for a professional DSLR. The $10,000 Pentax 645D medium format I just reviewed has a giant 40-megapixel sensor, which is only two megapixels ahead of the Nokia 808 PureView. Nokia would have been fine with a 16-megapixel count or lower on the Pure View’s 1/1.2-inch sensor. In fact, the low light sensitivity might have benefitted, since the pixels would be larger. So why 38 megapixels? Because it feels good to pull the jersey over the rest of the smartphone market and deliver several hellish haymakers and uppercuts, that’s why. It’s showboating at its best. Granted, specifications are one thing and it’s the device’s performance that ultimately determines its success. But I’ve seen Nokia’s official 808 PureView flickr gallery, and it’s doggone impressive. The dynamic range, color tone, detail and gradation in the images was superb for a smartphone. Unfortunately, Nokia didn’t post full resolution 38-megapixel samples, so until I’m able to test the phone at its maximum potential, I can’t draw any definitive conclusions. The 808 PureView’s only drawback is its phone-like architecture. Without external dials or an optical zoom lens, many advanced shooters will still remain attached to their Fujifilm X-100 compacts. 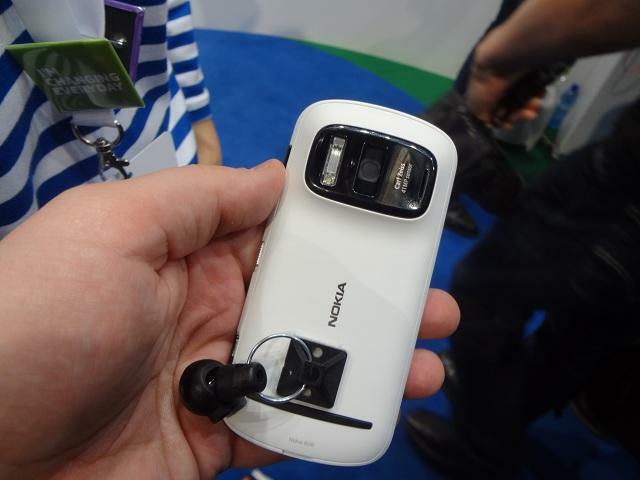 But is the Nokia 808 PureView something for the average point-and-shooter to be excited about? You bet your boots it is. It’s the most exciting camera phone to date, and if its imaging hardware formula is as successful as I believe it will be, the rest of the camera phone competition will have lots of work to do while the consumer digital camera market may have to start saying its prayers. Friends, forgive me. Unfortunately, this was more of a first impressions opinion article, and after having further investigated the technology of the Nokia 808 PureView, I can say that most of the comments below are correct. Nokia did opt for the prodigious sensor in order to enable the phone to use the digital zoom without any degradation in quality. The only tradeoff is a smaller resolution size when zooming in. At full resolution, yes, the sensor will employ pixel binning or oversampling. Pixel binning occurs when the adjacent pixels merge to form one “super pixel.” This “super pixel” is larger, thus increasing the sensitivity of the sensor. Granted, this is only capable at lower resolutions, so the binning effect will not take hold at a full 38-megapixels. It’s an improvement in the signal-to-noise ratio in low light conditions at the expense of spatial resolution. So, when you capture images at lower resolutions with the Nokia 808 PureView, you are taking full advantage of the binning technology and should see an increase in low light sensitivity when compared to the camera’s full resolution performance.